Here you can find all frequent questions and answers on generic issues regarding the use of digital certificates and electronic signatures. In the context of Public Key Infrastructure (PKI), a key pair is a unique combination of keys, and specifically a combination of a public and a private key that are mathematically connected and provide, among other, asymmetrical encryption between them. A private key is a key used by the signer for the creation of an electronic signature. In a key pair, the private key remains secret and is exclusively controlled by its owner. A public key is used to verify electronic signatures. In a key pair, the public key is associated with the private key. The public key is freely accessible by others for the verification of a digital signature, for example. A certificate is the digital confirmation that associates signature verification data (public key) with a specific person and verifies this person's identity. What is a certification service provider? A certification service provider is a natural or legal person, or other entity, that issues certificates or provides other services related to electronic signatures. For the certificates issued by a certification service provider to be qualified, the provider must be certified according to international standards and be registered with the Greek National Telecommunications & Post Commission (EETT). What is a qualified certificate in the Public Key Infrastructure (PKI) environment? A qualified certificate is a certificate that meets the relevant legislation requirements and is issued by a certification service provider that fulfills the legal requirements and has been registered in a list of qualified digital certificate providers (such as the Greek National Telecommunications & Post Commission - EETT), for utilization in advanced electronic signatures. An electronic signature is a set of electronic data that are attached to other electronic data, or logically associated with such data used as proof of authenticity for electronic signatures. What is an advanced (or qualified) electronic signature? 4. It is connected to the data it refers to, so that any future data alteration can be traced. Advanced or qualified digital signatures use qualified digital certificates. What is a secure signature creation device? A secure signature creation device is a USB token that is different than the memory sticks we all use for storing files, photos etc. A USB token (or TOKEN) has an embedded cryptographic chip that stores the owner's private keys (qualified digital certificates) in the most secure way. In order to use a USB token, you need to insert it in a USB reader. A secure signature creation device may be a USB token, so that it can be easily connected to a USB port in a desktop or laptop. A secure signature creation device can also be a smartcard (such as credit cards that have a chip), in which case you need to have a specialized reader connected to your computer. This device meets all the requirements (technical and legal) and its use is mandatory based on the international standards and the legislation on qualified digital signatures that, according to the law, are equally binding with hand-written signatures. How do I use a secure signature creation device for a digital signature? The use of a secure signature creation device is simple. The secure signature creation device is inserted in a USB port that works as a reader. In order to unlock the secure signature creation device and use the keys stored in its chip, you need to enter a PIN. In other words, the operation of secure signature creation devices is similar to that, of credit cards. When do I have to enter the PIN for a digital signature? You need to enter your PIN when you want to digitally sign a text. Public Key Infrastructure is the most secure technology protecting transactions between different parties by taking advantage of all public networks, including the Internet. This technology is being used for some decades now (also called asymmetrical encryption) and has been established both in the European Union and in Greece. Since 2001, Greece has passed the relevant legislation ratifying the PKI technology as acceptable and stipulating that qualified digital signatures are legally equal to hand-written ones. For this reason and for the protection of users, there are international standards, referenced in the legislation, that ensure that a qualified (or advanced) digital signature on an electronic message, file, etc. is legally equal to a hand-written signature on a printed document. • The authority that issued the digital certificates stored in the secure signature creation device. This is also called Trust Center or Trusted Third Entity. • The user (or subscriber) that possesses one or more digital certificates issued by the Trusted Third Entity, stored e.g. in a secure signature creation device. • The applications using the certificates for authentication or digital signatures. A Certification Authority is a software and hardware combination that includes crypto machines that create certificates in accordance to the international standards for PKI technologies. Certificates can also be created by secure signature creation devices, that is by the cryptographic chip embedded in the TOKEN. In PKI, certificates are created in pairs, i.e. a private and a public key. The private key is protected and used in operations such as digital signatures. On the contrary, the public key is known and can be used by any person for tasks making use of this person's private key, e.g. for authenticating a digital signature. For example, if an electronic message or document has been signed with the private key of a user, you should use the corresponding public key of the user to determine the authenticity of the signature. Is the Public Key Infrastructure (PKI) technology safe? PKI is the safest technology available, provided that all international standards and safety regulations are met. The Greek National Telecommunications & Post Commission (EETT) is responsible for ensuring that the providers of qualified digital certificate comply with the European and the Greek legislation, and follow the international standards, instructions and orders issued by EETT. Furthermore, EETT maintains a list with the providers issuing certificates and the class they belong to, based on their certification. The most well-known and strict international standard that a provider issuing qualified digital certificates for qualified digital signatures can be certified by is the so-called "Web Trust" standard. 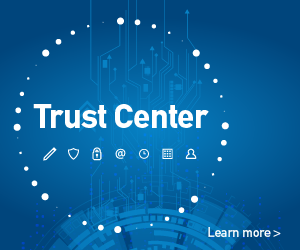 Byte's Trust Center, which issues qualified digital certificates, is certified according to the Web Trust standard and is included in EETT's list as a provider of the highest class, which means it can issue qualified digital certificates that are legally as binding as a hand-written signature. What is a signer or a subscriber in the PKI environment of digital signatures? A signer or a subscriber (or, otherwise, "certified party") is a natural person that owns a secure digital signature device and acts on his/her own behalf. This is the person that applied for a certificate and, after the required ID verification process, acquired such certificate by the certification service provider, stored in a secure digital signature creation device, i.e. a USB token. How does the Public Key Infrastructure (KPI) work? The Public Key Infrastructure is widely accepted as the safest and, today, the most highly effective technology pertaining to electronic transactions. Digital certificates focus on confidentiality, integrity and validation issues, so that the end-users can communicate and exchange information in a safe and reliable environment. • Step 1: The user gets a certificate from the Public Key Infrastructure that is based on a pair of keys, after submitting a relevant request to the certification authority of a digital certificate provider. • Step 2: The registration authority collects all the necessary information in order to verify the end-user's identity, and then approves the request for issuing personal digital certificates. • Step 3: The registration authority accepts or rejects the request, depending on whether all relevant requirements are met. For example, if there is no available (or legally submitted) ID copy (e.g. identity card or passport), the request will be rejected. • Step 4: The certification authority of a qualified digital certificate provider creates the digital certificates for the end-user and notifies him/her about when and how they can be used. How can I get a secure digital signature creation device with qualified digital certificates? 1. You can apply for a secure digital signature creation device and digital certificates by filling out the relevant online form. The address on the application form should be where the end-user/applicant will be in order to collect, in person, the secure digital signature creation device (and sign the delivery note). You will need to enter a mobile phone number, where you'll receive a notification when your certificates are issued and the PIN code for your secure digital signature creation device. At this point, it is not possible to issue digital certificates without a mobile phone number. 2. Your request will be examined and approved/rejected by Byte, in its capacity as a registration authority. For example, any requests that do not include a delivery address for the secure digital signature creation device, VAT number, mobile phone number, etc. will be rejected. Once your application is approved by the registration authority, it will be transferred to the certification authority, i.e. Byte's Trust Center. 3. The certificates will be issued and safely stored in a secure digital signature creation device that will be sent to the applicant by registered mail. 4. The applicant will also receive a SMS notifying him/her about the expected delivery of the secure digital signature creation device by registered mail. This SMS will also include the PIN code for the secure digital signature creation device, that will have to be later changed by the user. 5. Upon the delivery of the secure digital signature creation device, that the user must collect in person, they will also need to provide a copy of their ID (both sides) that will be checked against the original. Furthermore, the user will need to sign the application form and insert the delivery date. If the user fails to provide an ID copy or does not sign the application form, the secure digital signature creation device will not be delivered, due to non-compliance with the legal requirements and the EETT orders on identification upon the delivery of a secure digital signature creation device. I have received my secure digital signature creation device. What do I need to do in order to use it? The only additional task you need to perform is install the driver for the secure digital signature creation device in your computer. The driver varies depending on your operating system. At http://bytepki.byte.gr/, you can find drivers for all popular operating systems (Microsoft Windows, Linux, Apple Mac). You can download and use these drivers by following the corresponding installation instructions (see immediately below). After installing the driver for the secure digital signature creation device, just connect your secure digital signature creation device in a USB port and enter your PIN, when prompted, so that you can begin using your certificate (authentication, digital signature). All tokens, and USB eToken-5100 in particular, are manufactured by SafeNet. You can see the supported operating systems at http://bytepki.byte.gr/. In case I lose my token, what do I need to do in order to cancel the existing digital certificates and get a new token? How can I change the PIN code for my secure digital signature creation device? For instructions regarding the change of your PIN code, based on your operating system, please visit http://bytepki.byte.gr/. It should be noted that these instructions apply only to the SafeNet USB Token (secure digital signature creation device) that was delivered to you. The PIN code is known only to the user (subscriber) that received the secure digital signature creation device. Users can change their PIN codes as many times as they want, following the process described below. For security purposes, the Trust Center does not know your PIN code and will not be able to help you, e.g. if you forget it. In such a case, you'll need to ask for a new PIN code to be issued. How can I check the date that my digital certificates were issued on, so that I can be sure I have the right certificates and/or know when they expire? Usually, certificates are valid for one year. You can check the date that your certificates were issued on, as well as their expiration date. Insert your token in a USB port. Select the Personal > Certificates folder. On the right side, you'll see your personal certificates that are stored in the USB Token, along with information on their expiration date and the purpose for which they were issued. Please note that Secure Email is related to generic document signing. If you want to see more information about a certificate, just double-click the certificate name. The below window will appear. In the Details tab, you can find all the information about this particular certificate. As you will see, there is a wide range of available information about any certificate, including the name of the owner, the authority that issued the certificate, the date it was issued on, its duration, its status (valid or not) based on the expiration date that is noted in the certificate (but not if revoked for any other reason), etc. In the Certification Path tab, you can use the certification authority that warrants and has certified the particular certificate. I have received my secure digital signature creation device. What do I need to do in order to use my digital certificates on my computer? As mentioned elsewhere as well, before using your digital certificates, you need to install in your computer the software provided by SafeNet, the manufacturer of the secure digital signature creation devices. This process need to be done only once for every computer where you'll be using your digital certificates (authentication, digital signatures). You can download SafeNet's software (client) from http://bytepki.byte.gr/. The software varies depending on the supported operating system. You can also find installation instructions that you'll need to follow during the installation process. Can I download again my digital certificates to my secure digital signature creation device? No. Certificates are issued with an extremely secure method and only once. Backup copies are not allowed. According to international standards, (personal) certificates are securely stored only in secure digital signature creation devices.